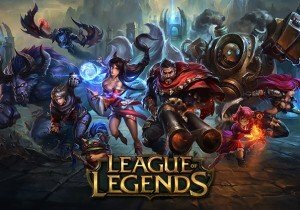 Today, Riot Games announced a HUD update for League of Legends, while writer Graham McNeill announced he’d been hired as a writer for the game. The HUD Update is meant to streamline LoL’s user interface to better assist gameplay. Currently, the team is looking at grouping together similar gameplay elements, showcasing strategic information, and improving usability and clarity – all while reducing screen clutter. The update is scheduled for the next PBE update, and Riot is looking for feedback, so find out more details here. Meanwhile, Graham McNeill, author of many Warhammer novels, has announced he has accepted a job with Riot Games as Senior Narrative Writer. The news means that League fans can probably look forward to new lore in the coming months. Infernum will send their first squad out into the world to fight off hordes of monsters and as such, announce the closed beta for Hazard Ops.